"You have to really decide where you want to live: if you want to live in the jungle or in the zoo. Because if you want the beauty, if you want freedom, the jungle is your world. You want to be safe, you have to live in the zoo." 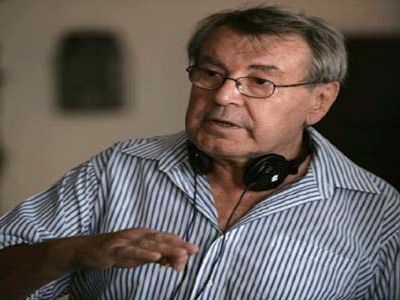 Born in 1932 in Caslav, a small town outside of Prague, Forman lost both his parents in the Nazi death camps during World War II. In the early 1950s, Forman enrolled in the newly founded Film Institute at the University of Prague, where he worked with many of the major figures of the “Golden Age of Czech Cinema.” It was there that he first began to form his unique visual style. After he graduated in 1955, Forman cut his teeth on short documentaries before producing his first feature film in 1963. BLACK PETER, an autobiographical account of a teenager in a small Czech town, gained him international recognition, and his reputation soared with the release of LOVES OF A BLONDE in 1965. Despite this recognition, his next film, FIREMAN’S BALL (1967), a spoof of his nation’s fire-fighting bureaucracy, attracted the attention of Czech authorities, and its release was banned. When Soviet tanks rumbled into Prague in August 1968, Forman was in Paris negotiating for the production of TAKING OFF (1971), his first American film. 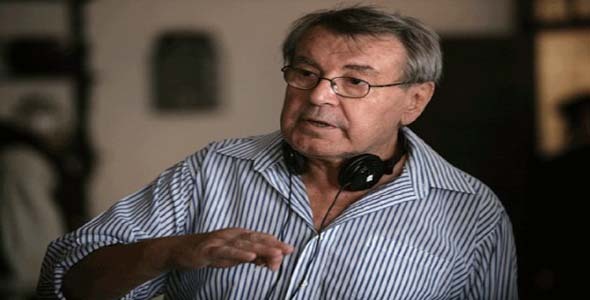 Claiming that he was out of the country illegally, his Czech studio fired him, forcing Forman to emigrate to New York. TAKING OFF, a look at the youth protest movements of the late 1960s was a financial disaster, despite its critical acclaim. It was not until his later collaboration with producer Saul Zaentz, ONE FLEW OVER THE CUCKOO’S NEST, that he firmly established his American reputation. The powerful film, adapted from Ken Kesey’s book of the same title, dealt with life inside an American mental institution. Considered one of the masterpieces of American film, it swept the Academy Awards, winning all five major Oscars (Best Picture, Director, Actor, Actress, and Screenplay). The same year Forman became an American citizen. He continued his success in 1979 with HAIR, and two years later with RAGTIME. What is most notable about these films is that they are deeply American, engaged in the representation of specific moments in American history and were two of the major sources through which we understand those times. In 1984 Forman returned to an earlier interest in music, directing AMADEUS, based on the life of Mozart. Filmed almost exclusively in Czechoslovakia, the film garnered eight Oscars. In 1989 Forman made VALMONT, an adaptation of Choderlos de Laclos’s novel LES LIASONS DANGEREUSES. Coming out soon after the release of another film based on the book, VALMONT received cool reviews. In his most recent films, Forman concentrated on two of the more peculiar and controversial figures of the late 20th century American landscape. With THE PEOPLE VS. LARRY FLINT (1996), about the notorious founder of Hustler Magazine and MAN ON THE MOON (1999) about comedian Andy Kaufman, Forman returned to the center of the public imagination. From his earliest Czechoslovakian work to MAN ON THE MOON, his truthful and transformative directing remains a source of great interest to both viewers and filmmakers internationally.